Gladys Brown has been organizer of the Black History Month program at the Ascension Council on Aging for nine years. 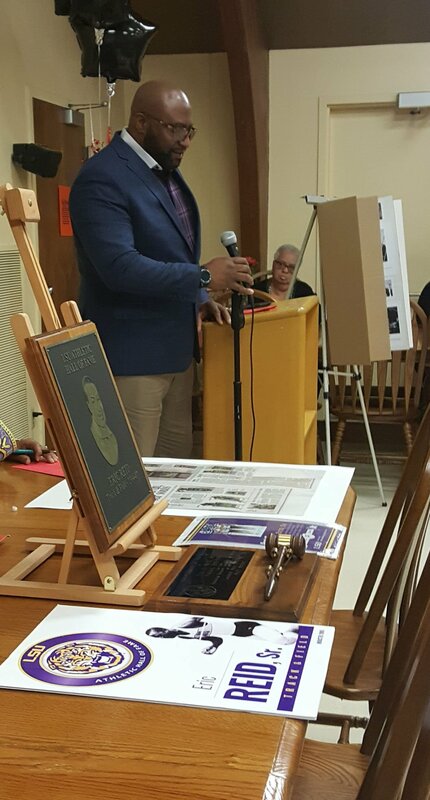 Eric Reid Sr. talks at the recent Black History Month presentation at the Ascension Council on Aging. Carolyn Lawrence discusses the Marsalis family during the Black History Month program at the Ascension Council on Aging. 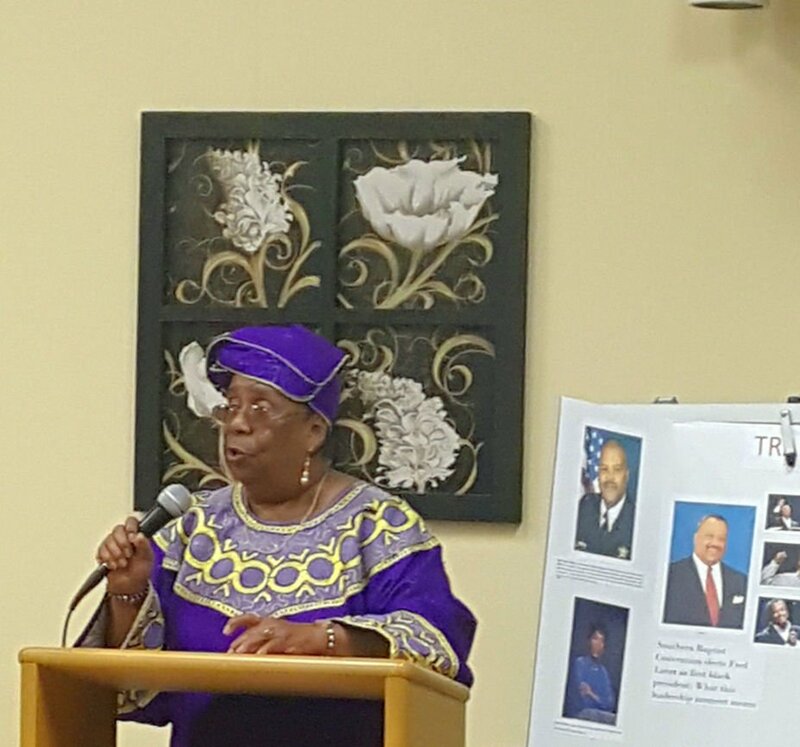 Hazel Fowler is a presenter at the Ascension Council on Aging's Black History Month program. Tributes to the Marsalis family of jazz musicians and a groundbreaking LSU athlete were among the highlights of the Black History Month program held Feb. 20 at the Ascension Council on Aging. The speakers included the Rev. Eric Reid Sr., the first African-American president of the LSU Staff Senate and the first African- American man inducted into the LSU Athletic Hall of Fame in track and field. The program also included a "Did You Know?" presentation by Enelda Irvin and Lydia C. Seals, and a skit, “Why Am I Black?,” with Gloria Wilson and Ernest Long.